Multi-purpose mat made of PVC coated fabric with velcro on sides to make Hut with 2 doors. Can be used as play mat too. Great fun for children. Includes two mats of size 2 m x 1.4 m and 2 x triangle shapes with door. Comes with E.P. foam. 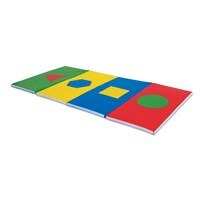 Multi-purpose mat made of PVC coated fabric with velcro on one side and shapes cutting in each mat. 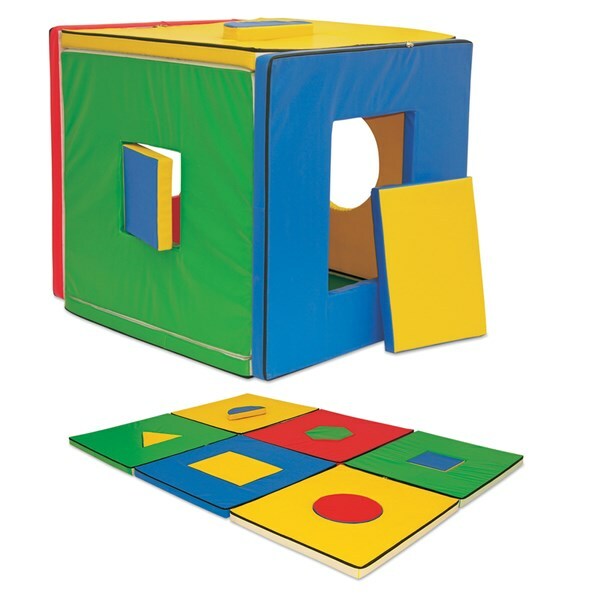 Set of 6 shapes mat. Can be used as a play mat too. Great fun for children. Comes with E.P. foam. 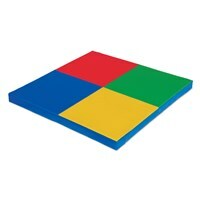 Size of each mat is 100 cm x 100 cm x 5 cm. Multi-purpose tunnel mat made of PVC coated fabric with velcro at the bottom of the mats. 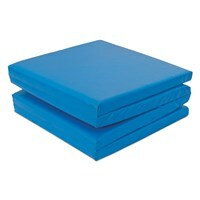 Set of 3 mats. Can be used as play mats too. Great fun for children. Size of each mat is 200 cm x 100 cm x 5 cm, comes with E.P. foam. 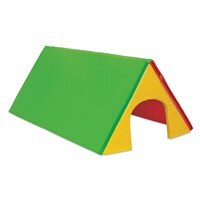 Shapes made of PVC coated fabric. 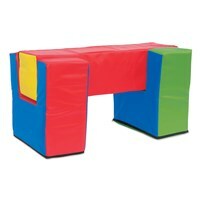 Consists of 2 square bridges (Size : 60 cm x 30 cm x 60 cm) and 1 rectangle bar (Size : 120 cm x 30 cm x 30 cm), comes with E.P. foam. 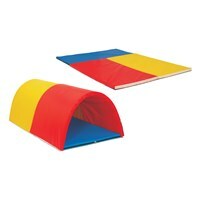 Junior gym mat made of PVC coated fabric. Foldable in 4 panels. Comes with E.P. foam. 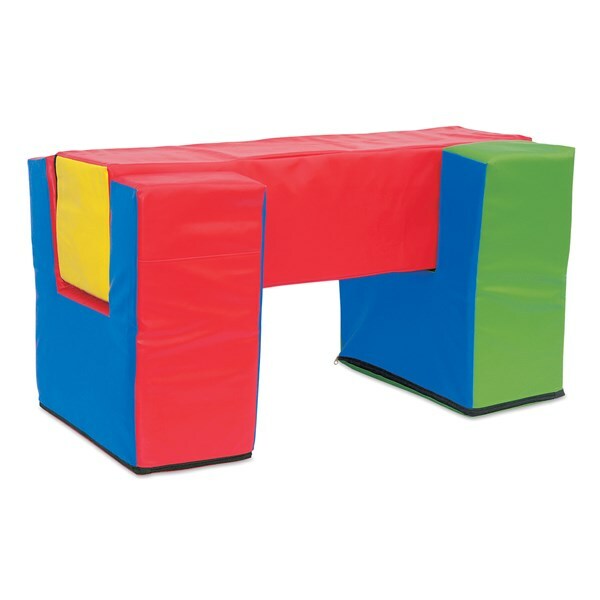 Size: 2 m x 0.5 m x 5 cm. Play mat made of PVC coated fabric, set of 6 pcs in 4 colours. Velcro on sides to attach mats (Size: 50 cm x 50 cm x 5 cm) and make a large mat (Size: 1.5 m x 1 m x 5 cm). Comes with E.P. foam. 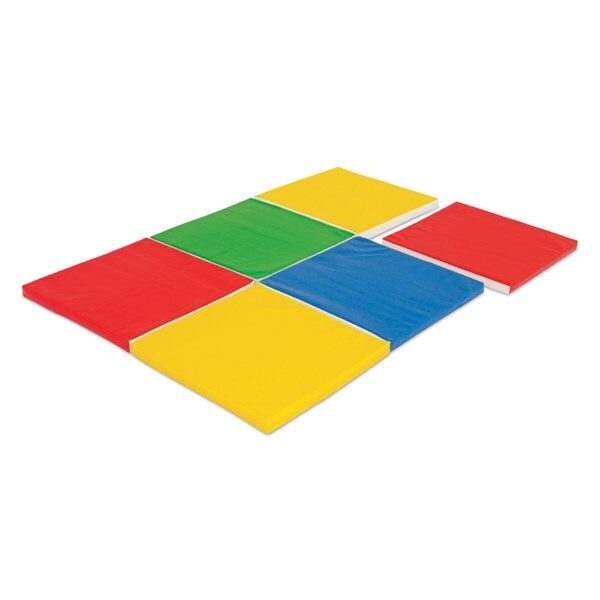 Gym mat made of 4 colour panels, but with single piece E.P. foam. Gym mat with fun shapes stitched on the mats made of PVC coated fabric and comes with E.P. foam.